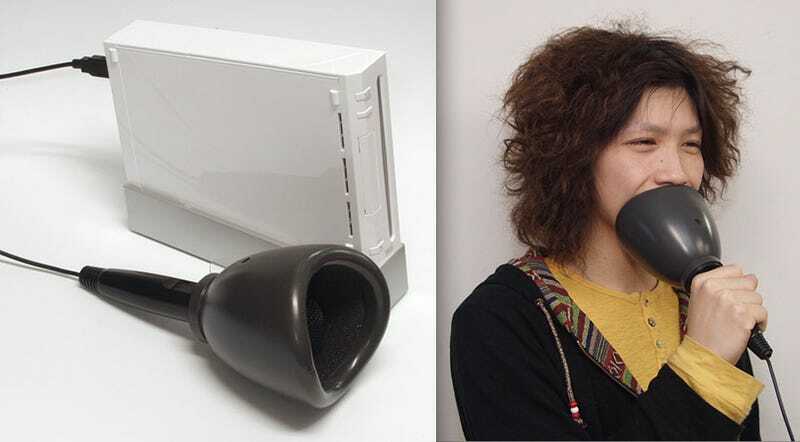 In case you found drunkenly singing famous songs off-key in front of friends, co-workers and strangers alike to be a positive experience, maybe you could try singing into this new Wii toilet plunger. Karaoke Joysound Wii, a new game by Hudson, comes packaged with the "Not Noisy Kara OK!" peripheral—essentially a USB microphone with one of those female pee funnels on top. It's all available for import if you've got about $35. Sing Wii Karaoke Quietly. Like A Goober.